In her quest to develop the world’s best middle school program, Haileybury’s Anna Cross has spent hundreds of hours researching models based on the future of work. Cross is collaborating with top middle schools around the globe to ensure the program aligns with Haileybury’s vision to be “a great world school”. The new middle school program is based on developing enterprising and ‘work smart’ skills, both of which Cross believes are critical in supporting modern student needs. She is also embedding Haileybury’s middle school with a culture of continuous improvement in which research, innovation and creativity are valued. 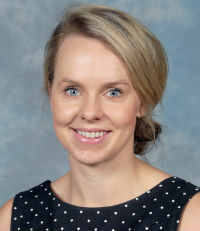 In her short career, Cross has developed varied knowledge and experiences that incorporate wellbeing, teaching and learning, co-education, and international programs. She has developed new and innovative programs, implemented significant change, and improved academic and wellbeing outcomes, including reshaping the middle school programs at several leading Melbourne independent schools and implementing a VCE program in China.